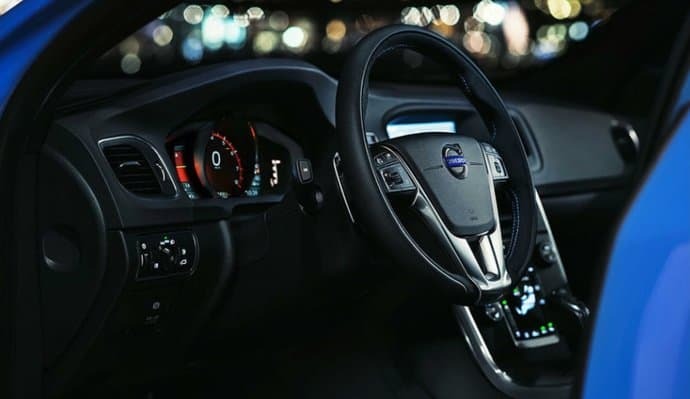 Swedish automobile manufacturer Volvo has launched the performance oriented derivative of its S60 sedan, the Volvo S60 Polestar in India at an introductory price of Rs 52.5 lacs (ex-showroom, Delhi). 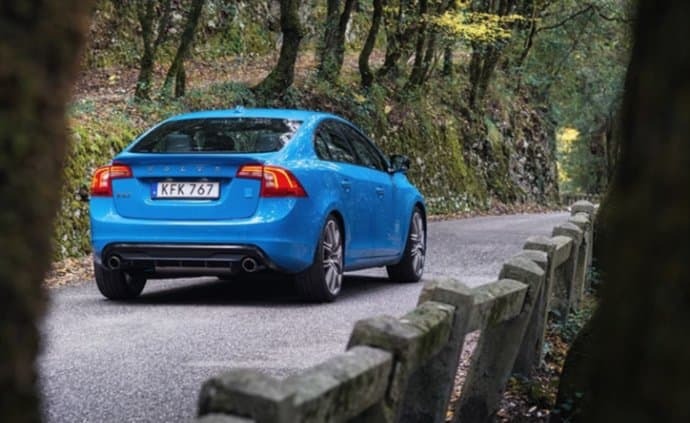 Polestar is the Volvo's performance car making division and with the new S60 Polestar sedan the company will compete with the likes of BMW's M division cars and the AMG series of Mercedes-Benz. Last year, Volvo sold around 1600 units in India and this year it's aiming for a double-digit growth by selling around 2,000 cars. Visually, the Volvo S60 Polestar gets the Polestar’s signature racing blue paint scheme alongside other color options of Bright silver, Onyx black and Ice white. It features a carefully redesigned aerodynamic and athletic exterior with special front splitter corners along with rear spoiler and diffusor for imparting stability while running at high speeds. Up front, there is the revised grille and bumper with glossy black treatment and a ‘Polestar’ badge at the rear. The car sits on the 20-inch Polestar alloy wheels packed in Michelin Pilot Super Sports tires. Under the hood, the Volvo S60 Polestar carries a 2.0-litre twin-charged (both turbo and supercharged) four-cylinder petrol engine from the Volvo’s Drive-E series unleashing 362hp at 7,000rpm and 470Nm of peak torque at 3,100 - 5,100rpm. The engine is mated with to an 8-speed Geartronic automatic transmission unit with paddle shifters for channeling the generated power to all the four wheels (all wheel drive). There is the Sport+ mode which when enabled on the gearbox keeps the exhaust valves open all the time ensuring optimum performance. It also allows the driver to change the throttle pedal mapping, shift speed, shift points and do curve hold. 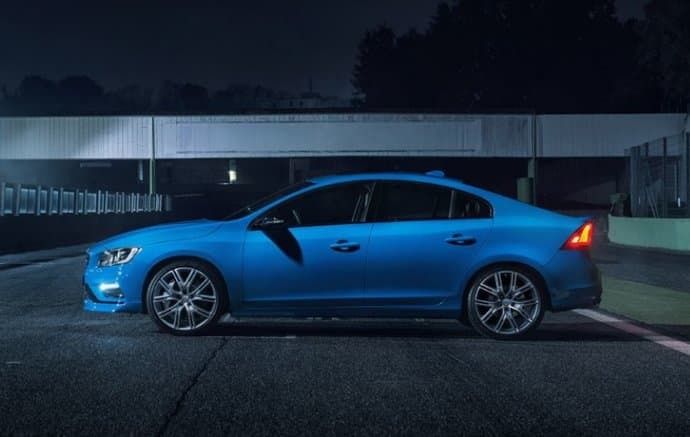 The Volvo S60 Polestar can do the 0 to 100kmph sprint in an impressive 4.7 seconds with the top speed being electronically limited to 250kmph. To stop the car, Volvo has deployed ventilated and slotted Brembo 6-piston brake discs at the front which brings the car from 100kmph to a standstill within 37 meters. Step inside the S60 Polestar and you are greeted with the heated sports seats and steering wheel, carpets with blue thread, a touchscreen infotainment system, Bowers & Wilkins audio system, aluminum foot pedals, chrome accent gear lever with the ‘Polestar’ branding, leather upholstery, automatic climate control and sunroof. On the safety and convenience front, there is adaptive cruise control, electronic traction and stability control, ABS, a total of 6 airbags (dual front, passenger, and SIPS), Radar-based safety features, park pilot assist, lane departure warning and blind spot detection.